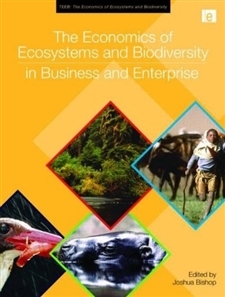 This book is a product of the TEEB study (The Economics of Ecosystems and Biodiversity). It provides important evidence of growing corporate concern about biodiversity loss and offers examples of how leading companies are taking action to conserve biodiversity and to restore ecosystems. This book reviews indicators and drivers of biodiversity loss and ecosystem decline, and shows how these present both risks and opportunities to all businesses. It examines the changing preferences of consumers for nature-friendly products and services, and offers examples of how companies are responding. The book also describes recent initiatives to enable businesses to measure, value and report their impacts and dependencies on biodiversity and ecosystem services. The authors review a range of practical tools to manage biodiversity risks in business, with examples of how companies are using these tools to reduce costs, protect their brands and deliver real business value. The book also explores the emergence of new business models that deliver biodiversity benefits and ecosystem services on a commercial basis, the policy enabling frameworks needed to stimulate investment and entrepreneurship to realize such opportunities, and the obstacles that must be overcome. The book further examines how businesses can align their actions in relation to biodiversity and ecosystem services with other corporate responsibility initiatives, including community engagement and poverty reduction. Finally, the book concludes with a summary and recommendations for action.